I've only made it out to the Freshgrass Festival once, way back in 2012, but it looks like I'm going to have to get out there again this year since their always great line up is extra fantastic this year! Set on the grounds of Mass MoCA, which is one of my favorite museums around, Freshgrass is a niche festival specializing in bluegrass and roots music, but definitely pushing the boundaries of what is considered either. 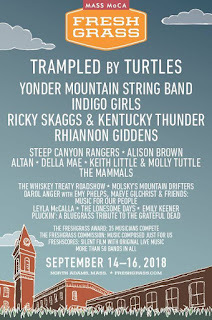 The festival features such If It's Too Loud... approved artists like Trampled By Turtles, Yonder Mountain String Band, Rhiannon Giddens, Steep Canyon Rangers, Alison Brown, Della Mae, Molly Tuttle (performing with Keith Little), and Leyla McCalla, who I discovered at Freshgrass 2012. One of the headliners are the absolutely legendary Indigo Girls, who I normally wouldn't see on my own but I'm thrilled to have the chance. Plus, they have artists they haven't announced yet, which doesn't seem possible. Besides just music, the festival features workshops and silent films scored by live performances. Plus, the museum itself is open to all attendees, so if you find yourself wanting to take a break from the music you can have your mind blown in the galleries. And you'll probably find a performer or two while you're in there. 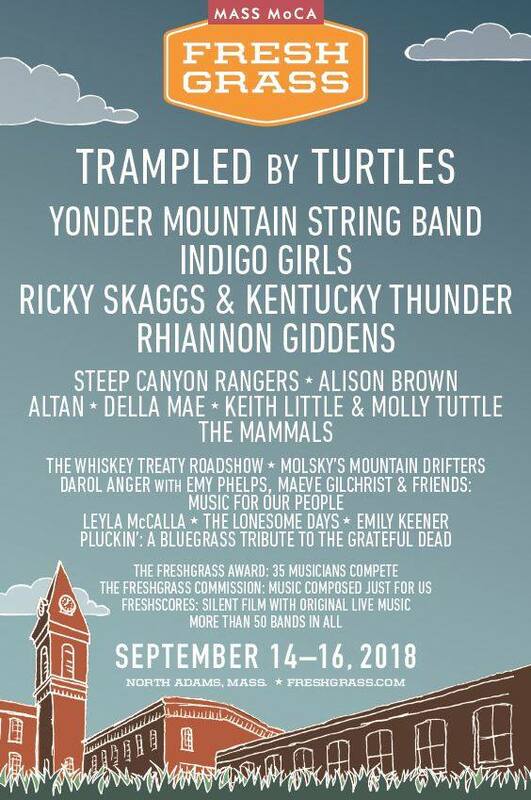 Tickets for the 2018 Freshgrass Festival are available now. Fortickets and more information, check out www.freshgrass.com.